CWB Chicago: Duo Burglarized Navy Pier Ben & Jerry's TWICE, Cops Say; "Fleeing with all of the store's money bags"
Duo Burglarized Navy Pier Ben & Jerry's TWICE, Cops Say; "Fleeing with all of the store's money bags"
Have you heard about the two 19-year-olds who burglarized Navy Pier’s Ben & Jerry’s Ice Cream Shop last month? 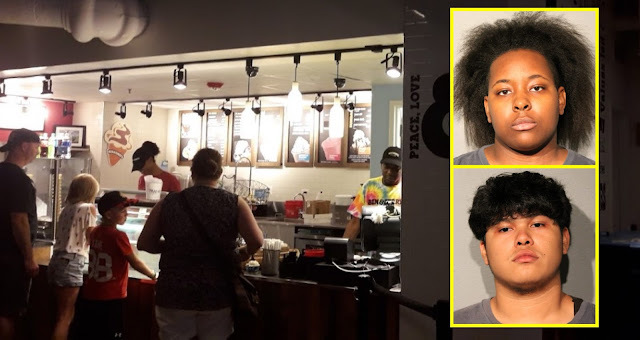 Cops say the duo stole all of the store’s cash on July 24 and they didn’t waffle before going back for s’more the next week. Cops say surveillance video showed Carlos Ortiz working as the lookout while Keshana Jarrett jumped the counter of the ice cream stand about an hour after it closed on July 24. Jarrett was seen walking to a back area and then fleeing with all of the store’s money bags, police said. 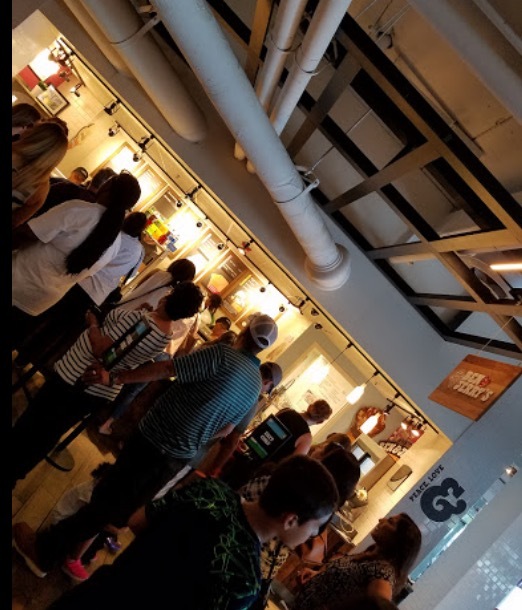 Police declined to say exactly how much was taken but reported that it was equal to all of the cash taken in by the shop on Sunday, July 23, when the temperature reached 93-degrees. A week later, Ortiz and Jarret both hopped the store’s counter at 12:40 a.m. and took money bags that contained the store’s cash receipts from Sunday, July 30, prosecutors say. The 30th was another 93-degree day at Navy Pier, which is consistently ranked as Illinois’ most-attended tourist attraction. Once again, police declined to say how much money was taken. Jarret worked at the shop as a cashier, police said. She was carrying $253 cash when she was arrested on August 16. Ortiz of the Ashburn neighborhood and Jarret of the Chatham area are both free after posting $25,000 bond.